Suppose you had to defend the right to wear a hat—how would you do it? What kind of arguments would you make? The right to wear a hat is not expressly provided for in the constitution but it implicitly stems from several provisions of the Constitution. First of all, the preamble of the constitution says "...secure the blessings of liberty", where liberty is not limited to national independence. It refers to the people's way of living in every aspect. The fact that the constitution, unlike many other countries of the time, does not require any certain religion or life style for being president, senator or representative implies that this liberty covers every aspect of life style, doubtlessly including the wearings. I emphasize on this aspect of freedom, because the most common barrier, if any, against wearing a hat or any other choice of wearing relates to religious concerns. In connection with and addition to the foregoing argument, the first amendment expressly states that US ctiziens are free to exercise their religion and they have freedom of speech. Wearing a hat, may also be a way of expressing oneself's ideas. The more an individual wears different from the regular style the more protesting that person would look and that may be the point that individual is trying to make by wearing a particular type of hat. The fourth amendment states that no person's properties can be subject to unreasonable seizure, which in practice results that a government officer must have to find the reason for disallowing the people from wearing hat; the individuals do not have to find a special reason to defend their immunity about wearing hat as a way of possessing a property. The nineth amendment says enumeration in the Constitution, of certain rights, shall not be construed to deny others retained by the people. Given the fact that people were wearing hat even before foundation of the United States, and there is no express provision that later prohibited hats, people's right to wear hat was already recognized by the nineth amendment. So, it is a constitutional right to wear hat under the nineth amendment. Also, according to the Declaration of Independence, as a major US constitutional text, people's unalienable rights include the right to life, liberty and the pursuit of happiness. In her or his way in pursuits of happiness, one may enjoy the right to do anything that makes oneself feel better, to the extent it exceeds to the same right of other people. Wearing hat may well be one of the ways to enjoy these rights in pursuits of happiness, if it makes the person feel better and does not harm the counter rights of other individuals or the public order. In addition to the written sources of the Constitution, this freedom can be inferred from the precedences of the Supreme Court, which has accepted many right that were not clearly mentioned or even implied in the Constitution but commonly adopted by the states, such as right to free advocate. Considering the practice of the states all over the territory, Supreme Court would see this is a right practically recognized by all states, so it is already a requirement of the Constitution that does not limit itself with its own text. Lastly, Abraham Lincoln, the iconic image of the constitution, and deliverer of the Getsyburg Address, used to wear stove pipe hat, so anyone in the country must be allowed to wear it! In 1787, the Constitution was the largest-scale instance of a democratic form of self-government in the history of the planet. What specific provisions or features of the Constitution best exemplify or demonstrate the embodiment of the value of democracy? How were these features uniquely democratic compared to other forms of government at the time, such as the monarchy and Parliament of England, or under the Articles of Confederation? The Constitution's preamble beginning with the words "We, the people..." is the best indicator of the value attached to democray by authors of the Constitution, because it certifies that the Constitution was not written under particular people's superior authority, supposedly received from god or any nobelty. It was a declaration representing the will of the people, i.e. all man, as they were created equal. The documents was, of course, penned by particular people, the Constitution was not an internal agreement or determination of the undersigners; it was in the air and the undersigners just put the words down onto the paper. In addition, the Constitution used the term "people", not "commons", a term underestimating the people, or "nation", a term that implies too much commitment among individuals of a people, or "subject", a term that indicates existence of a monarch. The Constitution refers to individuals of the time as "people", because it does not consider them having more o less power than they could factually hold as a result of the Constitution. Further, the value attached to democracy by the Constitution is also apparent in the fact that the first article is devoted to the Congress, the most populous organ of the government. Appointment of the President was based on electoral college as well, but he or she is just one individual. The best way to represent the people, including their discussions and differences inside, is the Congress and it has a certain priority in the Constitution, showing that the constitution is for the people indeed. Democratic nature of the Constitution is also seen in the second article, which provides for the qualificiations of Presidency. Firstly, the second article does not require the President to be White. For today's people this may be normal, but for that time it is a choice beyond its time, because many, maybe majority of the people would not find a racial discrimination strange by that time. Secondly, the second article does not require the President to be owner of particular amount of land. This is very democratic for that time, because the aristocratic nature of Britain had a strong reflection on the structure of the economic and political organization of the new lands in American continent, i.e. land owners had more money, more voice and more influence in the society. However, the authors of the Constitution managed to avoid such economic discrimination, too. The Constitution was uniquely democratic compared to other countries of the time, because, first of all, it was the first written constitution in human history. Though there had been many older constitutional documents in past, such as Magna Carta, the Constitution was the first written instrument, by which the creators of a state makes written commitments relating to democratic nature of the government. It was also quite unique since it does not anticipate a permanent head of state. The president would be elected for a certain period and would quit the office by the end of the term; and so did George Washington. Therefore, the Constitution's unique nature was not dependant only on its theoritical anticipations, but also the way is properly implementation. The second paragraph of the Declaration of Independence (issued by the Congress in 1776, 11 years earlier) says "We hold these truths to be self-evident, that all men are created equal...", so the coverage of the wording "we the people" is clearly defined in the same document. It is believed that Thomas Jefferson made this admission years after the Constitution, to author of his biography. This was more true for southern states, where slavery and therefore "mastership" was still very common. system with the same conditions, where each member's admission requires submission of a certain amount of money or property and the members receive the promised gain fully or partially conditional to other members' compliance with the terms. 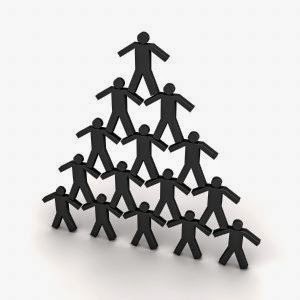 (2) It is prohibited to establish, expand and recommend any pyramid scheme. including but not limited to halting the electronic system, if any, within Turkey." courts will interpret the description of pyramid-scheme in article 80 of the law on protection of consumer. right to get the admission money back implies that member can return the inventory in exchange. Therefore, multilevel marketing companies, as presented in the legislative negotiations are legal under the new law on protection of consumer as well as the principles suggested by the jurisprudence. However, its ethical nature is still debatable. In this viewpoint; though it is legal, multilevel marketing scheme as presented to Turkish parliamentary negotiations is still against ethics, because it requires the scheme's members to make sales to their friends, family or guests, or recruit them as member of the scheme with the same terms. In either way, multilevel marketing is a socially unethical method of sale. 1Literal translation of “Saadet Zinciri”. 11Negotiation Minutes of Industry, Trade, Energy, Natural Resources, Information and Technology, July 4, 2013, p. 31 , 32 and following pages. 12Nearly USD 35.00 by currency rates of 2013.
countries/phenomena that the instructor highlighted as exceptions from this general trend and their recipe for relative success. Under-performance is failure by state organs to maintain the country's stability together with legitimacy. In countries with Muslim societies, the legitimacy of the government depends on the country's constitutional approach to Islam , though at a varying level. This creates a paradox at the first look, because Islam is a religion that regulates not only the worshiping methods but many further aspects of life, such as government and law and this fact leads to the idea that a country that provides for Islamic rule in its constitution would have to adopt a dogmatic system of law, based on non-disputable rules of Islam; so a constitutionally Islamic country cannot be governed with legal norms freely enacted according to the people's democratic choice. This under-performance has several aspects. Though there is a common belief that Arabic countries are rich thanks to their resource of oil, there are two facts negating this belief: 1) not all, only some Arabic countries have rich sources  2) Countries that have more natural sources are less productive, which is called resource curse. The rent in these economies are spent for patronage, more than investment as it's the easiest and most attractive way of remaining in power in those countries. Military aspect of under-performance is most severely felt in Arabic countries' struggle against Israel. In spite of the defeats, Arabic peoples have kept on believing that it is not a matter of size, budget etc., but only the governments' inability to perform the military actions properly. It is so common a problem that every group that held power in Egypt and Levant region were deposed by the popular majority following their defeat or insufficient attack against Israel. Social aspect of under-performance may be rated by the illiteracy and lack of democracy and other virtues in Muslim countries. Though these can be explained by the economic under-performance, there is also an argument that constitutional Islam, per se, prevents the social progress. Just like in many under-developed countries, the Muslim countries tend to rely on their military as the most institutional organisation. This is natural in one way; armies are based on hierarchy and it is the easiest way to prevent individuals from seeking their own interests in spite of a collective interest; so armies become the, relatively, most institutions in Muslim countries. In most of these countries, armies act as protector of constitutional Islam, which makes their oppressive government easily legitimate. However, some countries' armies act as protector of the secularism, as in Turkey in 1999 , or at least a shield against fundamentalism, as in Egypt. Therefore, having military as the only or the most remarkable institution of the nation is not caused by the interpretation of Islam. It is a natural result of the underdevelopment of the democratic institutions in the country. The Islamic scholars also constitute important institutions in Muslim countries, though their way of organisation may vary much depending on the country, the relevant Islamic sect and the political environment. The common function of them is the fact that Muslim people seek not the governmental authority, but scholar review of Islamic scholars in governmental acts, examining whether the government works in compliance with law. This is a more democratic way of legitimacy through constitutionalised Islam. Iran's new constitutional approach is promising about full democratisation of this examination process, where Islamic scholar's review about a legislative act is denied by the vast majority of votes, it is considered that the scholars are missing a point in interpreting Islam, since Islam cannot be against the people's necessities. There are several reasons attributed to these failures. The first is the colonial period, which was suffered by almost all countries with Muslim population. However this is not a strong argument. First, it has been so long time since the colonial period ended and many countries cannot still provide political legitimacy, because they are seen, by their people, nothing more than substitutes of the colonial powers, especially in Sub-Saharan Africa. Secondly, there are cases indicating a negative correlation. For example Malaysia, which has a significant history colonialism, is better in many aspects, than almost all, (maybe with exception of Turkey) other countries with shorter or lighter experience of colonialism. The colonial period is also seen as and indirect source of the instability, considering the ethnic disintegration in the countries they left behind. However, there are also cases disproving this. Firstly, Somali, as a rare post-colonial country with integral ethnic structure is also the worst country in terms of governmental performance; it is a failed state. When governmental stability cannot be maintained together with political legitimacy, even the tribes of the same ethnic origin may cause a civil war that collapses the state. On the other hand, there are model non-Muslim countries with multi-ethnic structure, such as Switzerland, Belgium etc. Once people of a country has a legitimate common history, the ethnic differences may be tolerated by good governance. The failure of these states is also attributed to general nature of Islam, arguing that Muslim countries had stopped progress long before the colonial period. According to this argument, the religion of Islam prevents the people from making any advance of civilisation by its unchangeable nature stuck in centuries old collection of rules. However, this is false in many aspects. Firstly Muslims are not the only group of people that fell behind the colonial powers; East Asian countries and non-Muslim sub-Saharan countries shared nearly the same fate. Secondly, there are many ways of interpreting Islam to create laws or to form a constitution. Being stuck in certain rules is not an essential nature of Islam. For relative success, each country must base its legitimacy on its own way of Islam. And this legitimisation must be constitutional and be limited to ensuring the people about non violation of Islam. It must not be used as an instrument of authority or dogmatism. Constitutional mechanisms balancing the Islamic jurisdiction's power may maintain the stability with legitimacy. Let us note that the term resource here does not solely refer to natural sources, but also foreign aids that are earned by chance of political opportunities, such as in Afghanistan and Sudan cases. The most remarkable modernity challenge faced by traditional societies, in particular Muslim societies is the inevitable series of loss in battlefield, in war(1), in diplomacy and lastly in aspect of culture and civilization(2). Though the modernity apparently stems from exclusively Western experiences such as Renaissance, Lutherism and the French Revolution, the total European modernity development is essentially supported by the economic gains, intellectual enhancement and political improvement provided by the geographic discoveries, which were simultaneously the cause for the fall of the Muslim societies. Iran was one, perhaps the worstly affected one of them. While Ottomans, having the Turkish Straits, and Egyptians, having the Suez, still had a comperative commercial advantage against the rising powers of Europe, as they are not totally left outside the main trade routes, Iran, the center of the Silk Road and Spice Road, the two much more popular, profitable and dominating trade routes in the middle ages, was almost totally adandoned as the Europeans had now direct trade connections with China and India. Though Iran used to have cultural influence in nearly 2/3 of the whole Asian continent and had endless but mostly succesful military engagements with its surrounding countries (3), all of which were once established by former Persian statesmen at a point in history (4), it was now more difficult, than any other Muslim country, for Iran to set aside its proud global challenges, admit the inevitable economic downsizing and replace its habits inherited from the heroic past, with the new methods of the Western, which had been considered as the evil for centuries. All these factors combines, rendered Iran even more helpless against the invading powers of Russia ang Great Britain; when the governors and the people admitted the need for adopting the Western ways, the governmental institutions that could reach West and bring away the enlightment, as the case in Japan and party in Ottoman, were already ruined by internal conflicts and external hostilities. For Iran, the only way to obtain modernization was expecting it to come to Iran by itself; which was a rationale for welcoming, though not surrending to, the British and Russian territories of influence. Now it was too late for Iran, for emulation/secularism and the experience of accelerated adoption of Western culture failed by 1979. Unlike other countries, Iran could not and did not try religious reforms as a means for modernization, because Shiate was the only strong political instrument that the state could employ for providing the order among its people. And its efforts to be a rentier economy with modest traditional objectives was ultimately disappointed by the Amglo-American coup, by the end of which its democratically elected prime minister Mohammad Mosaddegh was taken to exile for rest of his life. So, the ultime success of today's Iran to be an advanced republic depends on its ability to create a sound checks and balances systems, formed of 3 elements at least; the current system with one (maybe two) centers of power is not reliable in long term, because once the economy of the country allows the state to challenge its hostile countries, the balance-seeking policy of Iran will evade into history and the constitutional structure will be the only guarantee that keeps Iran people secured from too marginal decisions about the country's fate. (1) Turkish-Russian War, Russian-Persian War, Second World War for Turks etc. (2) Low literacy, delayed industrialization and capitalization and inability to seize the technology and social & cultural developments. (3) Turkish-Persian wars between Timur and Bayazit, Hasan and Mehmet II, Shah Ismail and Selim I etc. on one side, Turkmen-Iran strugles on the other side and Iran's series of invasion into Iran, especiallay by Nadir Shah. (4) Ottomans are successor of Rum Seljuks, a Turkic state whose official language was Persian; Persian was also the formal language of Seljuks in Inner Asia and Mughals in India.